Need a Quote for a Termite or Carpenter Ant Control Treatment? Contact us or visit our blog for useful termite swarming information. What’s so different about our approach is the fact that North Jersey Termite’s exclusive business is the detection and eradication of wood-destroying insects, specifically, Termites and Carpenter Ants. Our comprehensive and website will offer you an opportunity to easily explore useful information, photo images, relevant links and an extensive video library on Ant and Termite identification, biology and control. Unlike the vast majority of other Pest Control firms that offer a wide variety of services, we at North Jersey Termite are highly specialized in our field of expertise. Over the past 40 years, owner Ed Assidio has inspected and treated well over 15,000 homes and businesses in our Northern New Jersey service area. Our company has been committed to 100% customer satisfaction. Thousands of our customers have entrusted us to remedy their termite and carpenter ant pest problems. Shouldn’t you be one? 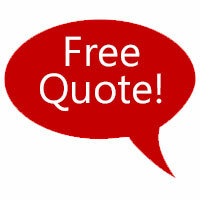 Get a Quote – It’s Easy and there’s no obligation! Set an appointment to evaluate your termite control concerns. Point out specific areas of concern including visible infestation or visible termite damage. Outline a treatment plan that will solve the problem(s). Leave you with a written proposal including a price quote for any treatment we recommend.